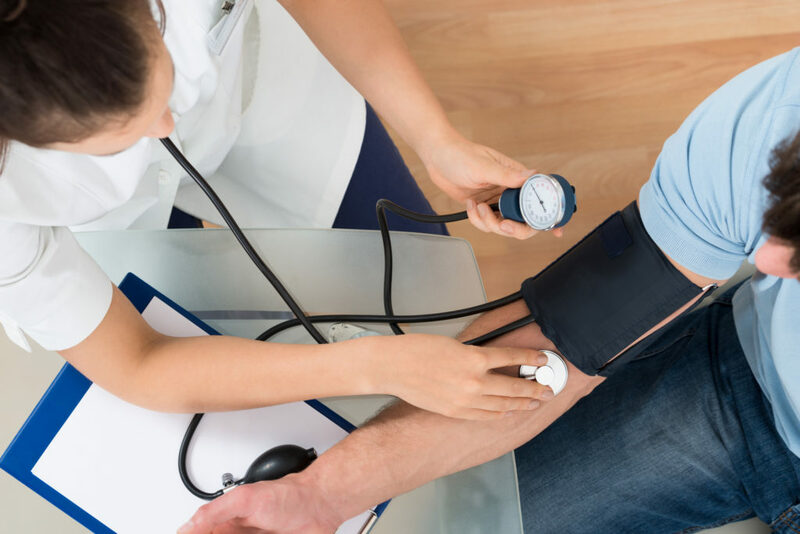 ParaMed’s Cardiovascular Health Screening Clinic is a comprehensive wellness program designed to help organizations lower costs relating to productivity loss, absenteeism, short-term disability, long-term disability, and health benefits. ParaMed’s Cardiovascular Health Screening Clinic builds awareness of health issues and risks, with the goal of reducing those risks using an illness and absence prevention approach and behaviour modification techniques. ParaMed’s Cardiovascular Health Screening Clinic addresses a cluster of conditions that are common and increasing in the Canadian population which include diabetes, cardiovascular disease, cancer, obesity and high cholesterol as well as high blood pressure. Through the clinic, your employees will have the opportunity to meet with a Registered Nurse who takes various biometric readings and provides one-on-one coaching to discuss measurement results, prevention tips and recommended actions. Cholesterol is not used to diagnose or monitor a disease but is used to estimate risk of developing a disease, specifically heart disease because high blood cholesterol has been associated with hardening of the arteries, heart disease and a raised risk of death from heart attacks. As such, cholesterol testing should be considered as a routine part of preventive health care. Glucose screening is a measure of the sugar in your blood. A high level of glucose may be indicative of diabetes. Early diagnosis and effective control of diabetes correlates with reduced side effects from the disease. Blood pressure can have negative effects on your body if it’s too low or too high (i.e. the risk of heart disease, kidney problems and stroke is greater with high blood pressure). The good news is that steps can be taken to get both types of blood pressure under control. The key is to check your blood pressure on a routine basis. BMI is a more valuable measurement of body fat and the health risk factors associated with being over- or under-weight than a scale. BMI uses your height and weight values to determine whether you are at risk for weight-related health problems. ParaMed offers both individual and group consultation based on the needs and wishes of the clients. Participants identified with high risk measurements can request a confidential one-one-one consultation with a registered nurse or dietitian to discuss health goals and actions needed to be taken. Organizations may request a group education session if a significant number of employees are identified with high risk in a particular screening (i.e. high cholesterol level). Educational material and health teaching regarding the individual’s or the group’s health issues as well as strategies to implement a healthy lifestyle will be provided as part of the consultation.